Program auditing is a core service we offer our client partners in Aviation, Aerospace, Defense and other industries; helping them meet exceptional quality benchmarks while keeping costs down and remaining competitive. 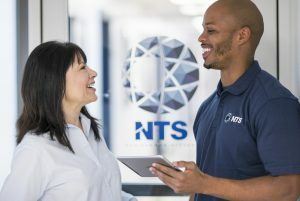 NTS compliance program auditing gives OEMs a standardized way of evaluating their supply chain to streamline processes, reduce liability and decrease overhead expenses. How Does Product and Process Auditing Work? Assessing suppliers’ competency in implementing needed changes, such as engineering design modifications or new inspection requirements. Ensuring the suitability and consistency of the special processes utilized on your products. Analyzing material procurement and control processes. Reviewing the effectiveness of the calibration process to ensure proper recall cycle times and controls. Determining suppliers’ ability to correct non-conformance, and measuring the effectiveness of their corrective action process. Evaluating the consistency of document control process to assure you regularly receive necessary paperwork. We recognize that each of our clients has different needs, and the complexity of the supply chain requires highly individualized solutions. We will work with you to determine the ideal compliance program auditing solution for your business. Identify gaps in supplier quality management and compliance, allowing partners to develop more effective internal processes. 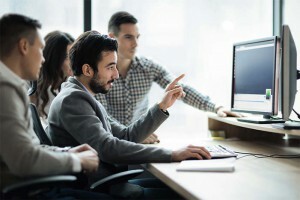 Gain control over documentation, providing you with a paper trail for both proactive auditing and reactive incident response. Streamline your supply chain, leading to lower costs and improved efficiency — without compromising quality control or limiting your potential for future growth. Make it easier to share resources between stakeholders, explore new business opportunities and drive innovation in everything you do. How is Compliance Program Auditing Completed? First, NTS assigns a dedicated project manager to oversee all aspects of the compliance auditing process. This individual will be your main point of contact and will be available to answer your questions as necessary. Second, the project manager will review your supply chain and develop a detailed action plan for moving forward. This action plan will contain a statement of the program’s objectives and a timeline for achieving them. Third, we’ll work with applicable suppliers to coordinate auditing based on your requirements. And finally, once we obtain the preliminary results, we’ll present our findings along with a set of potential recommendations for improvement. Our supplier funded programs are designed to eliminate the expense of time and money required to complete compliance auditing at the supplier level. Supplier funded programs shift the responsibility of auditing to the suppliers themselves. In these programs, our skilled auditors act as enforcement agents, overseeing the development and implementation of comprehensive quality management systems that meet your specifications. Supplier funded programs can involve source inspections, PPAP reviews, quality systems auditing, production monitoring and other critical checks. We developed the program template with General Electric Aviation, a partner who required a way of improving quality control across their extensive supply chain. Under this centralized compliance process, reporting is simplified and standardized between suppliers. A supplier funded auditing program allows you to easily make global changes to your processes and standards. Once implemented, you’ll see a higher level of delivery and quality performance. You’ll also enjoy decreased liability and greater end-user confidence in your products. NTS is a leading supplier funded program auditing company. We work closely with businesses in Defense, Aerospace and Aviation, among other sectors, and we develop customized solutions based on the extensive industry knowledge of our technical specialists. Through a deep understanding of your business and its context, we’ll customize our services to deliver optimal results for you. To learn more about our program audit services, Request a Quote today.